Some of you may have noticed there's a new update available for Google's Maps application for Android devices. Since the update doesn't come with an official changelog on the Play Store, you might not be aware of the changes it brings. 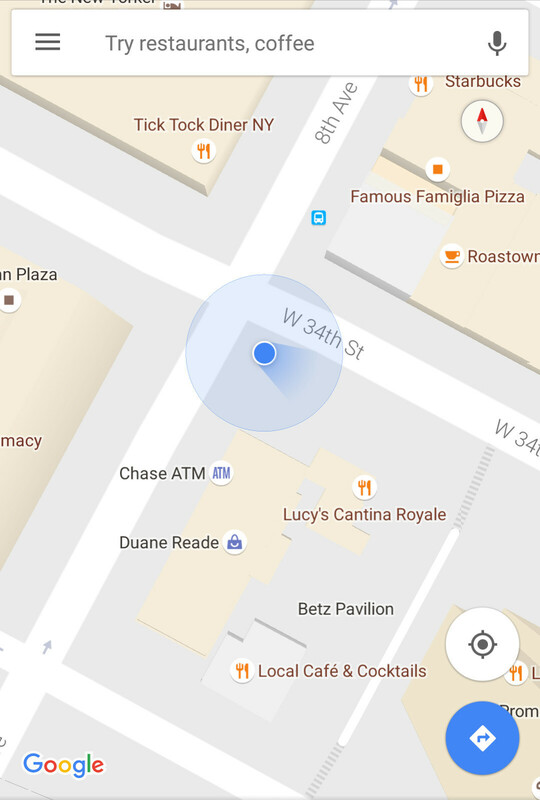 Luckily, we're here to provide you with all the details about the latest Google Maps update. First of all, this isn't really a major update, but it's important since it changes one of the most common aspects of the application. The direction arrow that usually indicates the direction you're facing when using Maps has been replaced with a shining blue beam. We're not sure if that's a better choice, but there's no turning back now that Google has decided to roll out this new feature. According to Google, the beam is capable of telling users how accurate the phone's direction is at any given time. Supposedly, the narrower the beam, the more accurate the direction, while the wide the beam, the more likely it is that the phone's compass is temporarily uncalibrated, so the sensors might not work as intended. But fret not, since there's an easy way to fix this issue. The solution recommended by Google is to move your phone in a figure 8 motion a few times. That's how you should get more accurate results when trying to pinpoint to a direction. The solution provided by Google to calibrate the compass' sensors is likely to work better than the usual tilt method. However, that requires users to master the curving motion in order to get the best results. my google maps never points the right direction on my s6 edge and my s5. anyone experience this? thanks for the info. and yeah it does vary, depending on the device being used. So does my s7. Think its a samsung thing. Maybe the compass needs calibrating. But back to the article, this is old news! I fiund out the hard way when i was on holiday. Not cool.